Transportation: Defense of trucking and tow truck companies in serious vehicle accident cases. Member of firm's "24-Hour Response Team" for prompt investigation of trucking accidents. Premises Liability: Representation of major entertainment companies, including Viacom Inc. and Paramount Pictures Corporation in personal injury litigation arising out of accidents on movie and television sets. Police Litigation: Successful defense of one of the police officers involved in the civil litigation arising out of the "LAPD Rampart Scandal". 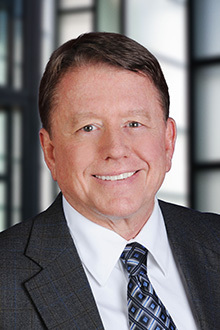 General Liability: Served as counsel for Vons Markets in the personal injury and wrongful death claims filed in California arising out of the Jack-in-the-Box E. Coli food poisoning outbreak in the Western United States. Medical Malpractice: Represents physicians, nurses, hospitals, nursing registries, and other health care providers in medical malpractice litigation. He has handled malpractice cases in numerous areas including anesthesiology, cardiology, emergency medicine, family practice, surgery, internal medicine, oncology, neurology, nephrology, obstetrics and gynecology, orthopedics, plastic surgery, pediatrics, pulmonary medicine, pharmacology, radiology and urology. Mr. Forgey is a member of the American Board of Trial Advocates (ABOTA), having tried 41 jury trials. He also arbitrated well in excess of 100 personal injury cases.